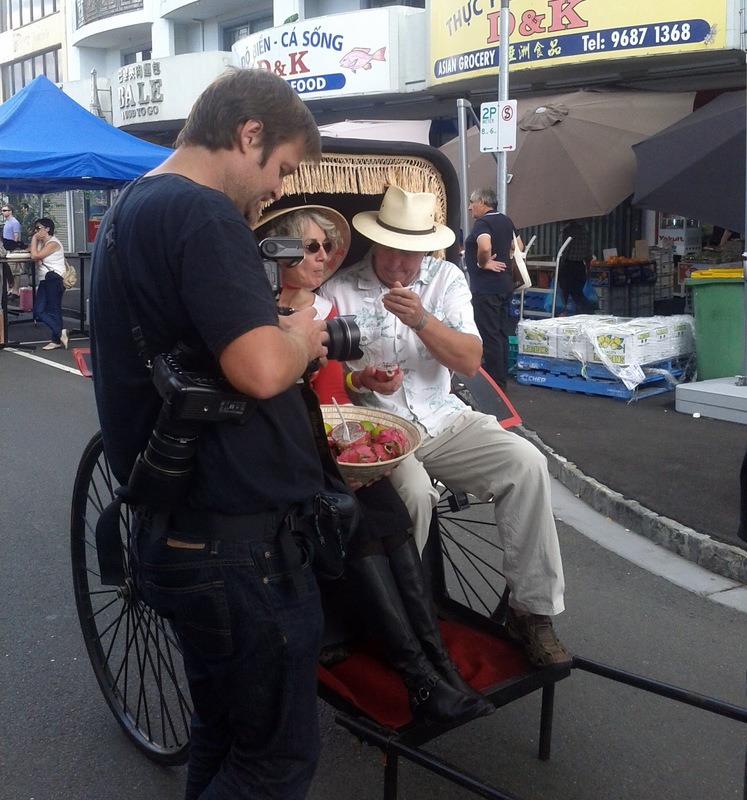 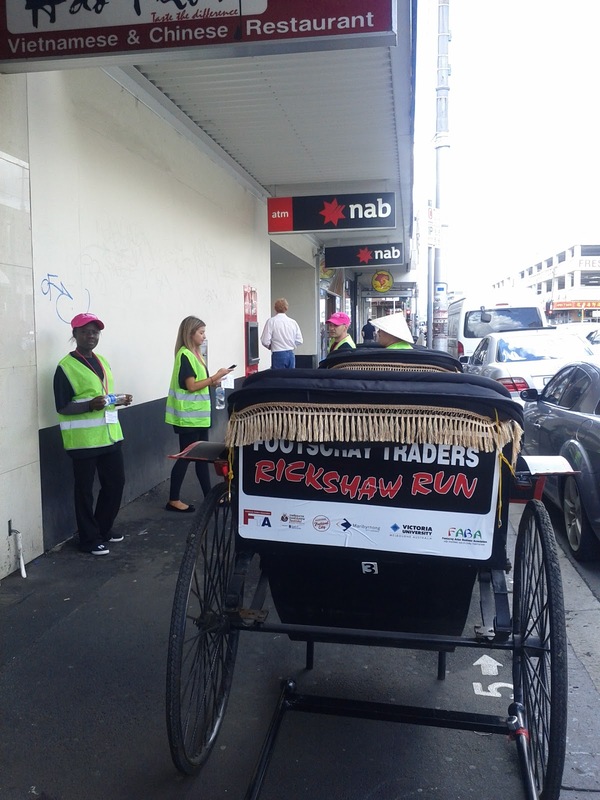 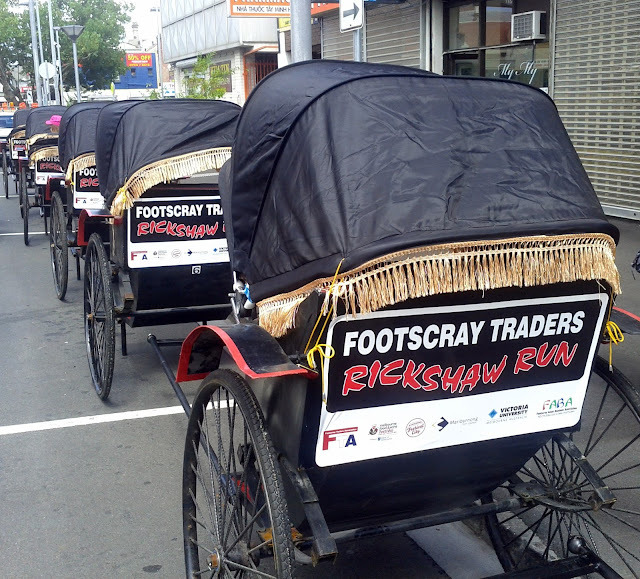 After a briefing on how to safely manoeuvre one of the sturdy but surprisingly nimble carts and meeting a few of the volunteers I was drafted in to help pull an Age photographer along to get the shot for an article in the paper, we got the shot on the fourth try! 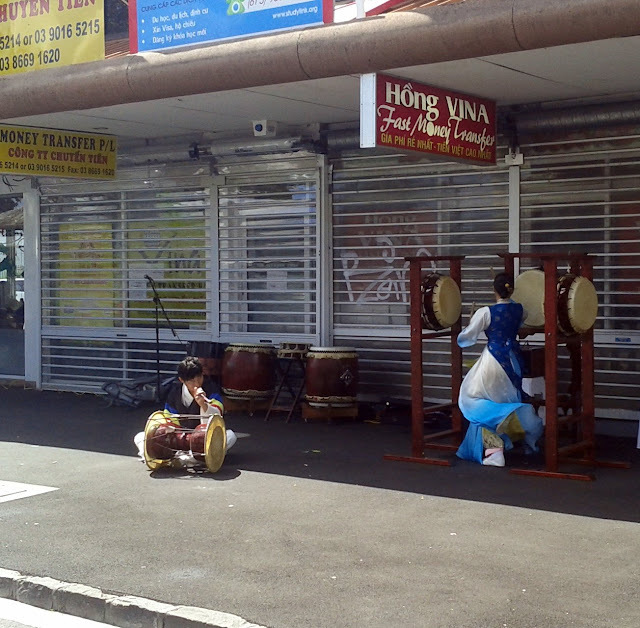 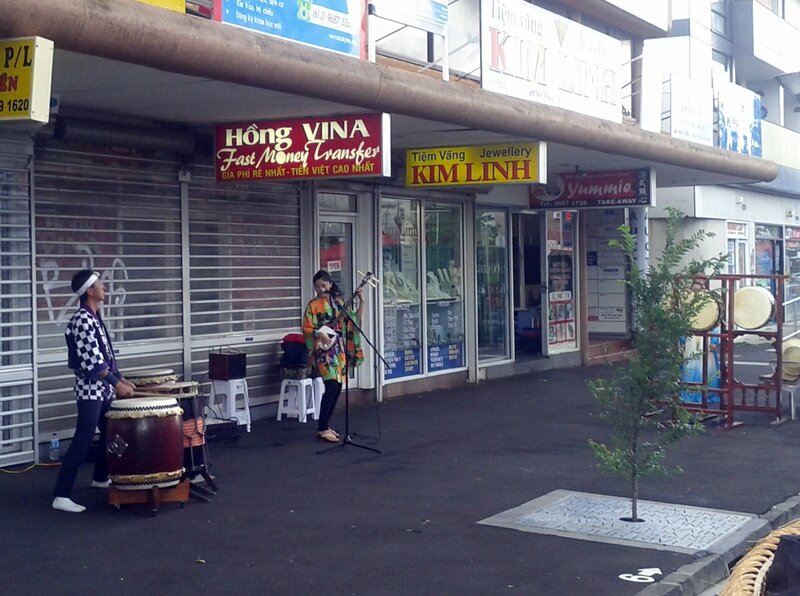 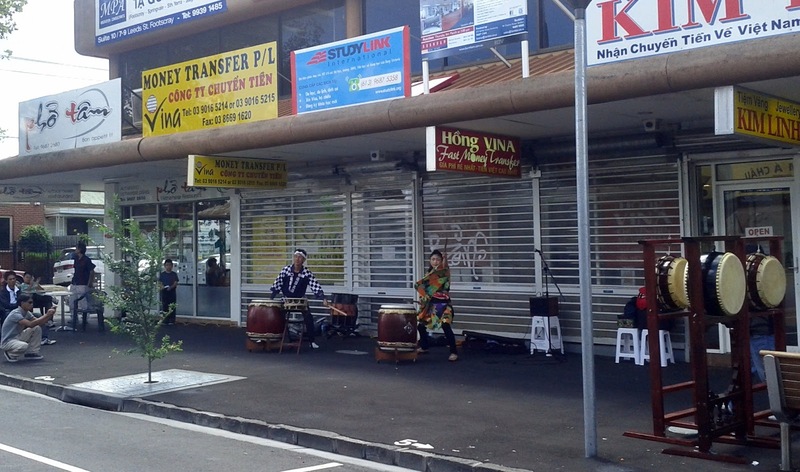 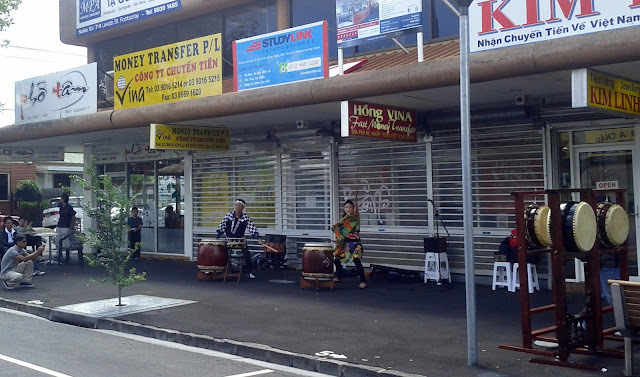 Things started with impressive live Japanese and Korean music performances in Leeds St.
Whilst enjoying the dramatic drumming, the customers were tucking into fresh oysters. The first stop was a visit to Little Saigon Market, which showcased the diversity of produce available, then it was off to Sen for a Rice Paper roll making master class. From there the convoy headed to Hao Phong for Pho. 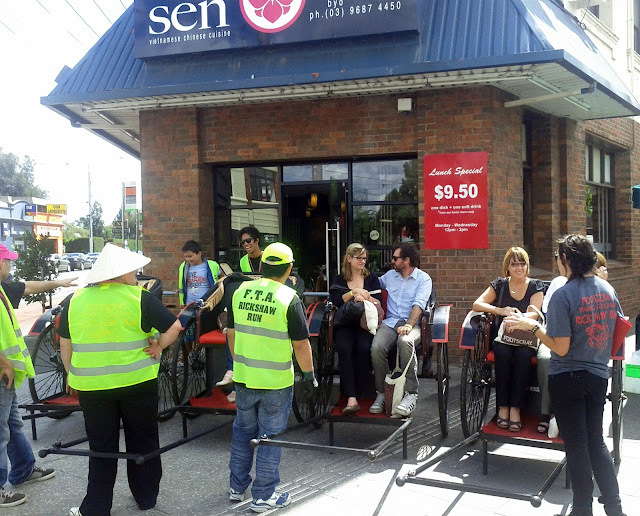 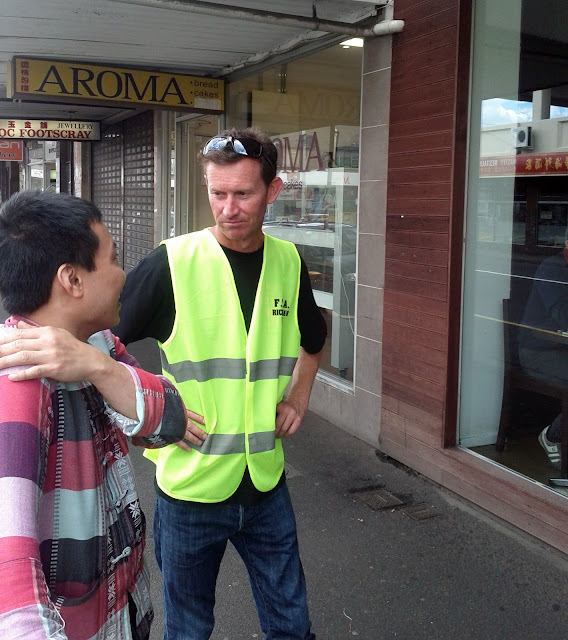 Grant the organiser chats to Long outside his restaurant Sapa Hills where Bun Cha was being served. 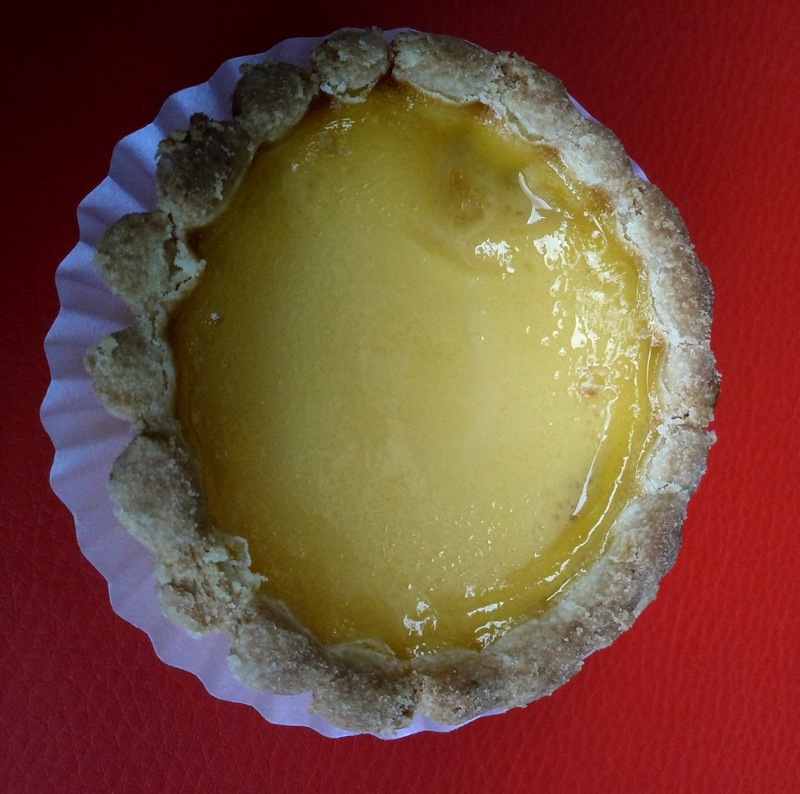 Whilst I sat waiting in my chariot Grant popped in to Aroma and returned with a box of custard tarts to energise us for the rest of the trip, these were tasty and welcome!